Vancouver, BC, March 27, 2018 – The Radisson Hotel Saskatoon was recently awarded a 2017 President’s Award. The award recognizes hotels that have consistently provided exceptional guest satisfaction, maintained excellent quality performance review scores, and focused on product improvement. This is the hotel’s sixth President’s Award since 2011 and is evidence of the ongoing service excellence provided by the hotel and their team members. The hotel has also received a Hotels.com™ Loved by Guests award which is based on authentic trusted guest reviews and feedback, proving that the Radisson Hotel Saskatoon is rated one of the best hotels in the country by its guests. 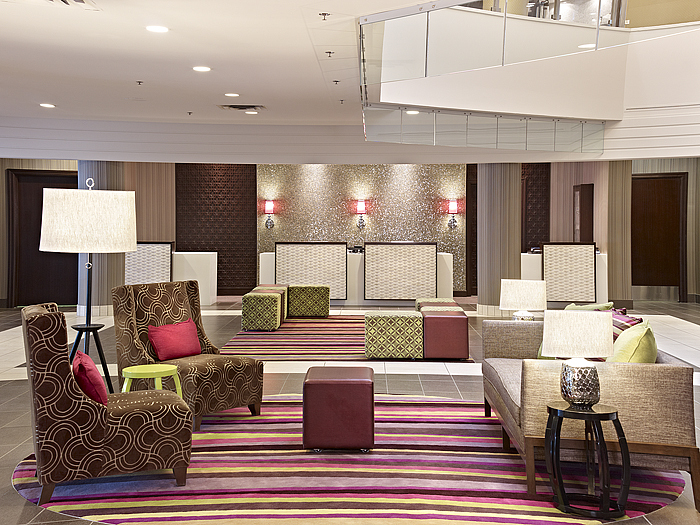 The Radisson Hotel Saskatoon in Saskatchewan is a modern hotel featuring contemporary design and intuitive services. Located downtown the hotel offers breathtaking views of the South Saskatchewan River Valley and City Center. With 291 rooms and 19 floors, the Radisson Hotel Saskatoon boasts superior comforts, including high-speed Internet access, an indoor water park, on-site meeting and dining space and more. The Radisson Hotel Saskatoon has been awarded with a 4 Green Key Eco-Rating and a 3 Green Key Meeting Rating under the prestigious international Green Key Program, an Eco-Rating program which recognizes environmental performances in hotel industry. Aroma Resto Bar is located in the Radisson Hotel Saskatoon. Aroma introduces a dining and beverage experience that features Canadian cuisine with upscale comforts. The theme is fun-casual with the dining room and lounge built around a wood stone fired oven.